1. Heat a large wok over high heat until a bead of water dances on the surface and then evaporates. Add the peanut oil and salt and swirl to coat the pan. Add the garlic and ginger and stir constantly for about 20 seconds, until soft and golden, but not brown. 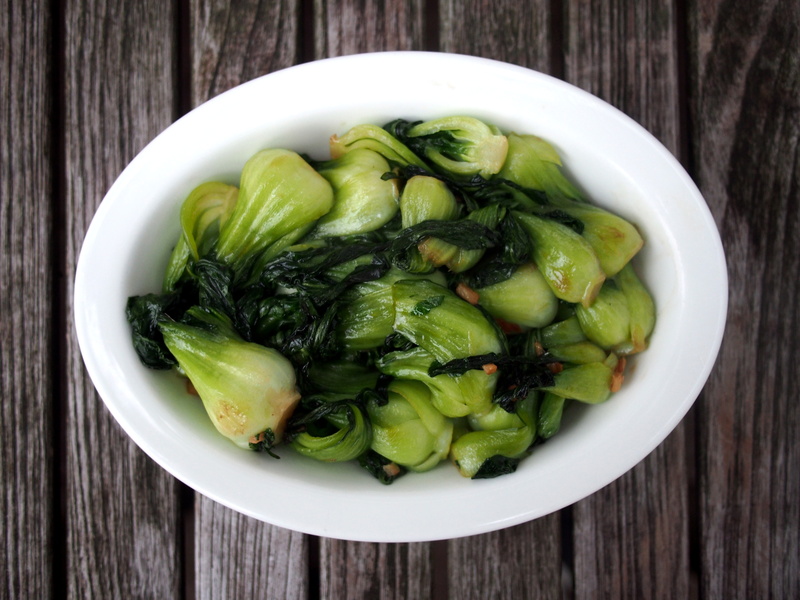 Add the bok choy and, using tongs or chopsticks, toss to coat the bok choy with the oil, also picking up the garlic and ginger as you turn the greens. Pour in the water and soy sauce. 2. Cover the pan and continue to cook on high heat for about 2 minutes, until the water is almost evaporated, the leaves are wilted and the stems are crisp-tender when pressed with a knife. Remove the pan from the heat, add the sugar and the oyster sauce. Toss well to combine. 3. 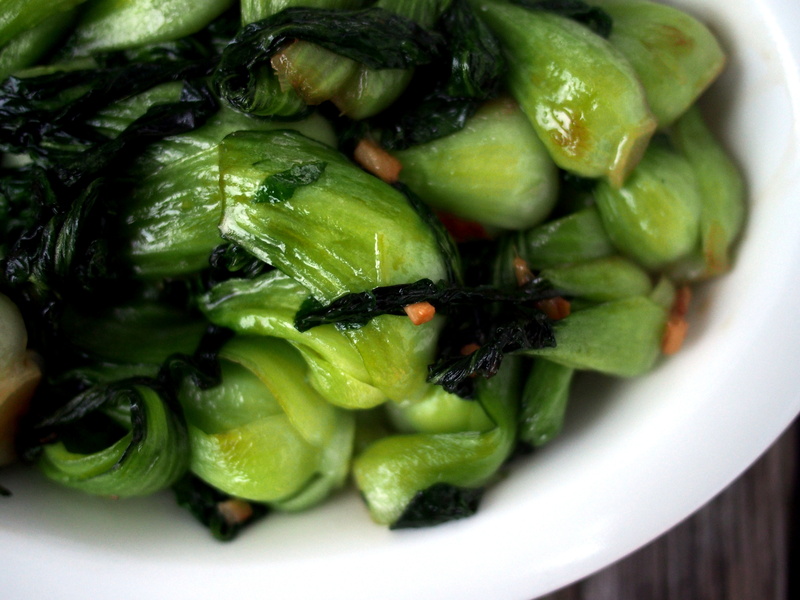 Transfer bok choy to a serving platter, pour any leftover cooking liquid over the top and drizzle with the sesame oil.